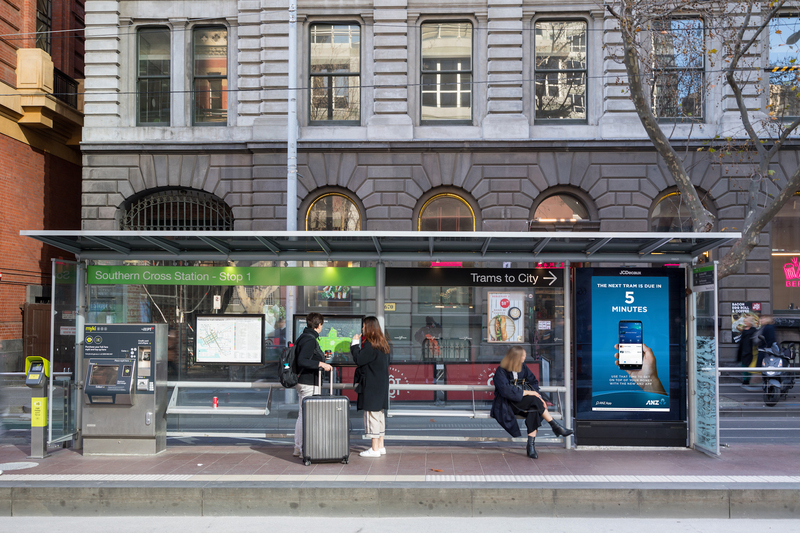 ANZ and media agency PHD have partnered with JCDecaux to launch a unique campaign that harnesses the power of data across three cities incorporating actual tram, train and bus timetable information to align with the new ANZ App. 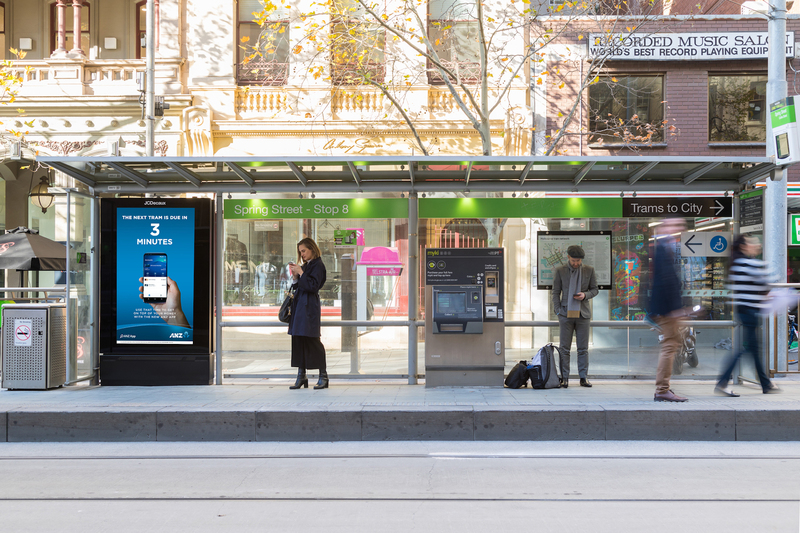 When commuters are waiting at their bus, train or tram stop in Sydney, Brisbane and Melbourne, the accompanying JCDecaux digital panels will pull in accurate timetable information for specific stops that cleverly contextualises the benefits of being able to use the ANZ App to get on top of your money, wherever you are. The only Out-of-Home provider with access to tram, train and bus networks, JCDecaux has incorporated accurate timetable information that works seamlessly across its dynamic digital panel network in high pedestrian dwell time locations across three cities to engage commuters. The timetable information was retrieved for use from publicly available government platforms. 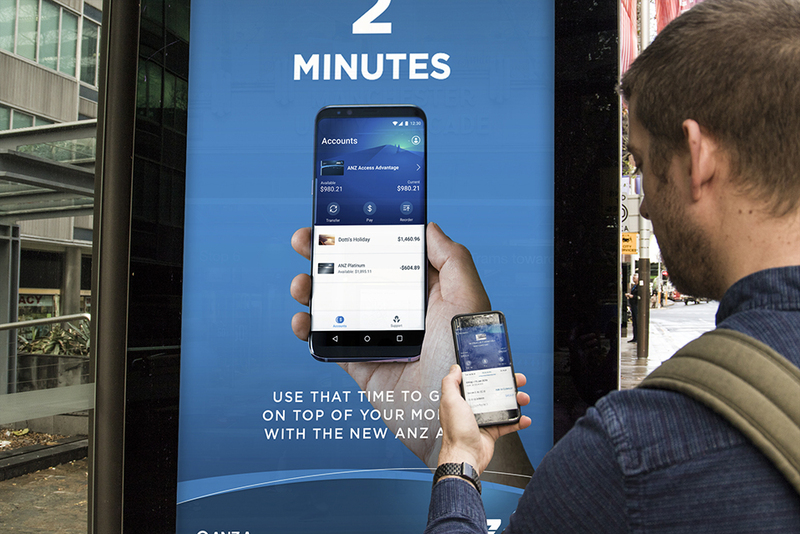 PHD ANZgroup business director Jordan Smith said, “Partnering with JCDecaux, this data-led Out-Of-Home campaign aims to leverage dwell time on public transport routes encouraging people to ‘get on top of their money’ by downloading the ANZ App. JCDecaux head of creative solutions Ashley Taylor said, “This is the first time that we have seen this type of dynamic data used to influence the creative on screen and have real-time relevance to align with ANZ’s product offering. The campaign launched this week in Sydney, Melbourne and Brisbane.